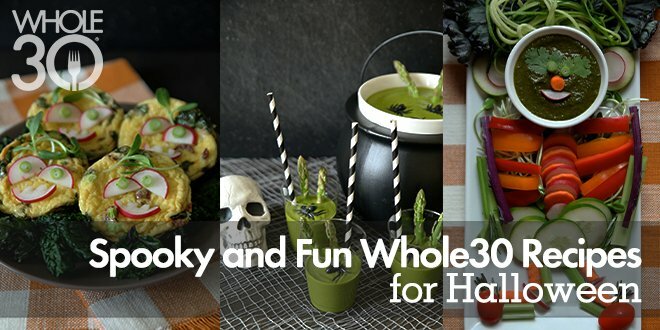 It’s a little tradition around Whole30 HQ to come up with a few fun, creative, and slightly creepy Whole30 recipes for Halloween. 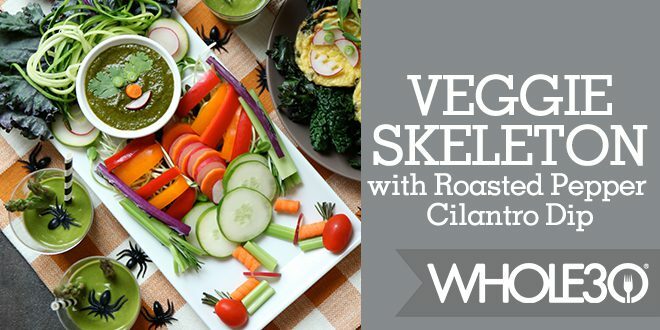 We like the idea of Whole30’ers using these festive recipes to delight and nourish their families and friends, providing all the Halloween fun but none of the sugar crash, temper tantrums, and uncontrollable cravings that typically follow a Halloween celebration. Goblins and Monsters and Skeletons, Oh My! Danger lurks on the #Whole30 blog today. If you’re currently Whole30’ing and feeling nervous about being surrounded by mountains of candy in miniature sizes, we’ve got you covered. Read this classic Whole30 Halloween Candy Peptalk, chock-full of Whole30 Headmistress Melissa Hartwig’s signature tough love (heavy on the love), including strategies from other Whole30’ers for maintaining your Whole30 during Halloween. Want more creative Halloween recipes? Check out our feature from last year, featuring recipes from blogger Michelle Smith of the whole smiths. ADD avocado oil to a stockpot and bring to medium heat on the stove. Add onion and sauté until soft, about 3 minutes. ADD scallion and asparagus and reduce to a simmer, uncovered for 10 minutes. REMOVE from heat and transfer to a high-speed blender along with spinach, avocado and bone broth. Alternately, place spinach, avocado and bone broth in pot and blend with an immersion blender. Once blended, taste and add salt to taste. SERVE in clear plastic cups with raw asparagus spears sticking out of each cup. Add a festive straw as well if you like. 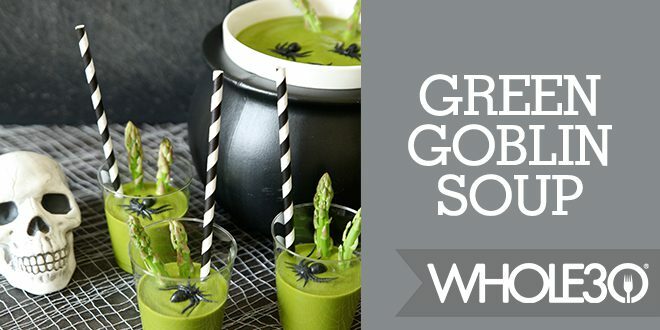 GARNISH with any additional herbs or freshly cracked pepper, or dare to scare your guests with faux spiders crawling over each soup! Recipe note: Blanching your asparagus spears is not necessary, but you may find them easier to eat than raw spears. To blanch asparagus spears, bring a small pot of salted water to a boil. Prepare a bowl of cold ice water. Place asparagus spears in boiling water until they turn bright green, about 2-4 minutes depending on the size of your asparagus spears. When the spears are bright green and crisp-tender, use a slotted spoon to remove the asparagus from the boiling pot and place them in the ice water bath. After a few minutes, remove the spears from the ice water and allow them to drain on a few paper towels. 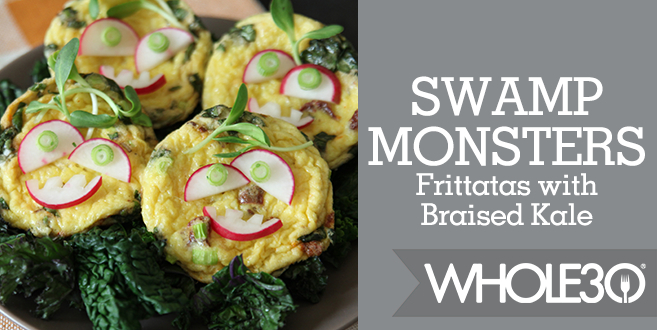 Sarah Steffens is the Whole30 Recipe Developer. She has a B.A. in Business Administration, Public Relations from The Master’s College in Southern California. After years of experimenting with nutrition and recipes in her own kitchen, she now works as a Personal Chef in Los Angeles, cooking meals that support her clients’ intention to physically and mentally thrive. She has catered several independent film sets, making it her goal to optimize the energy and well-being of each creative crew. When Sarah is not cooking Whole30 and Autoimmune Protocol meals, she is likely exploring mid-century sites in L.A., taking photographs, listening to an audio book or “hiking” at Griffith Park.